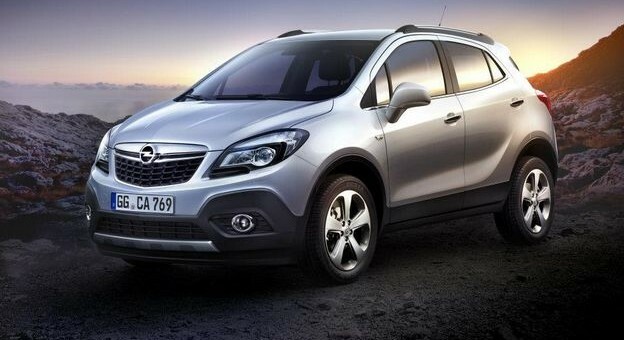 Demand for the Opel Mokka has turned out to be far better than expected. While a good thing, it’s also turning out to be a problem, as the Bupyeong, South Korea facility cannot birth the little crossover as fast as Europe wants. That being the case, an Opel spokesperson told Reuters that the company is looking for ways to increase production of the Mokka, with the possibility of building in in the Zaragoza, Spain assembly plant. In doing so, Opel would be able to fill up that plant’s spare capacity and could lower losses of the division. Still, we await an official announcement one way or the other. How will this affect the Buick Encore, and how is it’s demand doing? I would increase South Korean capacity instead, if that’s possible. Excess demand is good to an extent. With a sales of around 100,000 Mokkas this makes sense. Opel can better utilize its Spanish plant and they can also expand the choice of engines, colors etc, if it is european built. Therefore the Mokka is gonna be more different than the Trax. Next step: hand the Bochum factory over to GM Korea and begin production of Chevrolets there. See the article about moving production of Aveo/Sonic from Korea to China and USA. General Motors will produce the Cruze and other Chevrolet models more likely in Gliwice, Poland or St. Petersburg, Russia. The Gliwice, Tychy and Aspern facilities are now directly owned by GM before that it was acutally Adam Opel AG. I don´t really understand this move by GM. However, in this case Opel could shift the Astra production from Poland to Ruesselsheim, Ellesmore Port or Bochum (will unfortunately not happen). The Astra sedan can stay in Poland, while Gliwice produces mainly cheap Chevys for Europe. The problem currently is that you have to wait at least 11 months if you order a Mokka now. Because of that a lot of people don’t buy this car. So Opel could sell far more units if they had more capacities. This is the main reason why the production should come to Europe. Yes I know someone who was considering a Mokka & has purchased a rival crossover instead. Mokka needs to be built locally to satisfy demand this market is hot right now. Hard to believe yet Nissan’s Quasqui & Juke are in the top 10 best sellers in the UK, makes one wonder why they bother with the X trail. It is pretty clear GM is looking for the most competive country (Spain) to build a car, it will be massed produced soon because of the low cost and high qulity engines. The Figuerelas plant (near Zaragoza, Aragon in Spain) is where most of the Corsa are being built anyway; only a fraction of the Corsa production is being done in the Eisenach plant in Germany. That is the main reason that Figuerelas is being selected. BTW, from 2014 on, the Corsa will also be built in Belarus by a British-Belorussian company called UNISON from SKD (Semi Knocked Down) parts delivered from Western Europe. (To visit in Figuerelas (Zaragoza) the Opel factory where he will assist the start of the production of a new automobile. The minister of industy, engery and tourism will also participate). I am glad the production goes to the most competitive plant.